Are you tired of sending attachments over and over again, making sure that everyone has got the latest copy in order for them to be pleased. Are you fed up of merging everyone’s editing into one final copy? 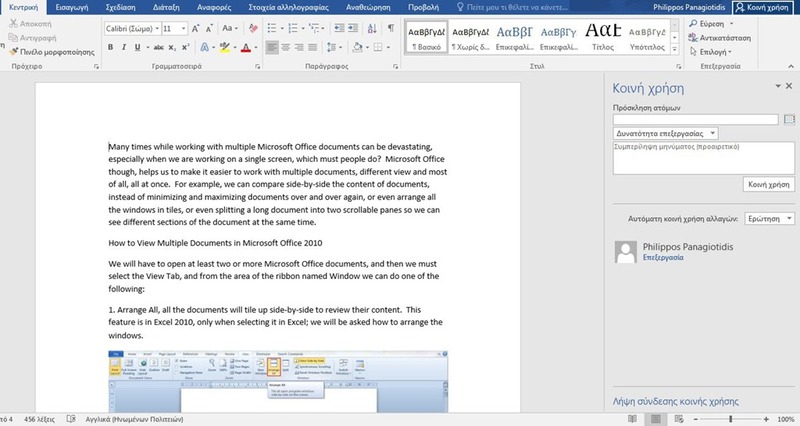 This is where Office 2016 comes in, and especially the Share feature. All the above are history. 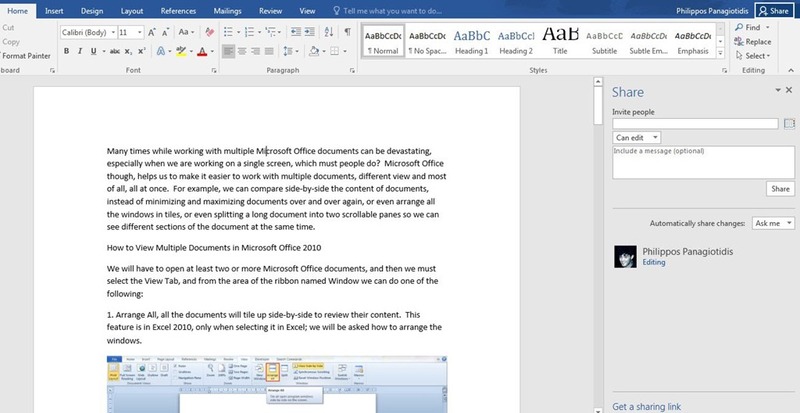 Now, we can collaborate and share with others the same document simultaneously. All you have to do is to continue reading.